48 inch x 2 inch - SHIPS FREE! 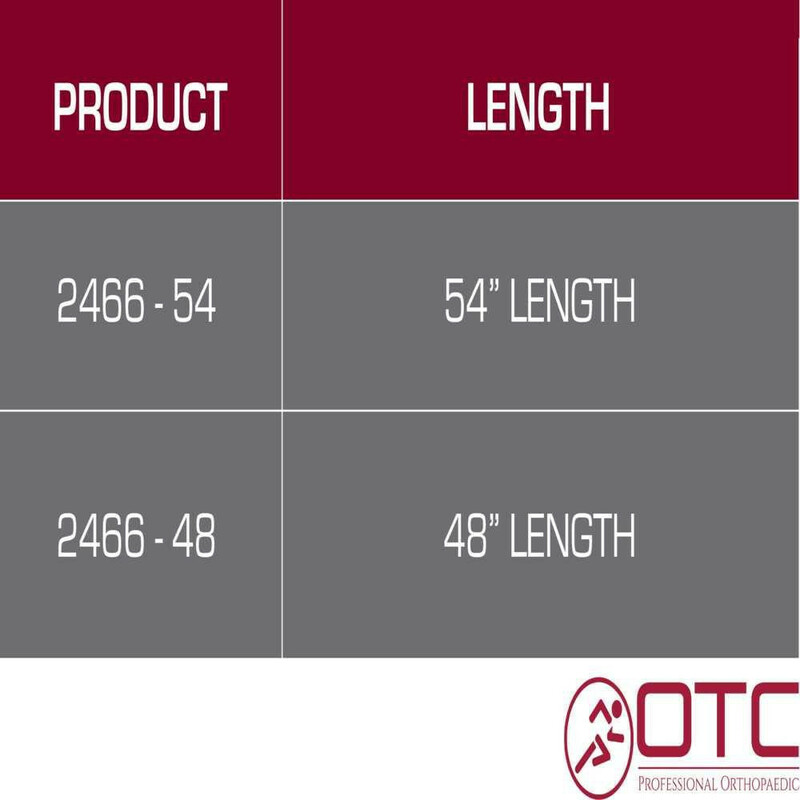 54 inch x 2 inch - SHIPS FREE! 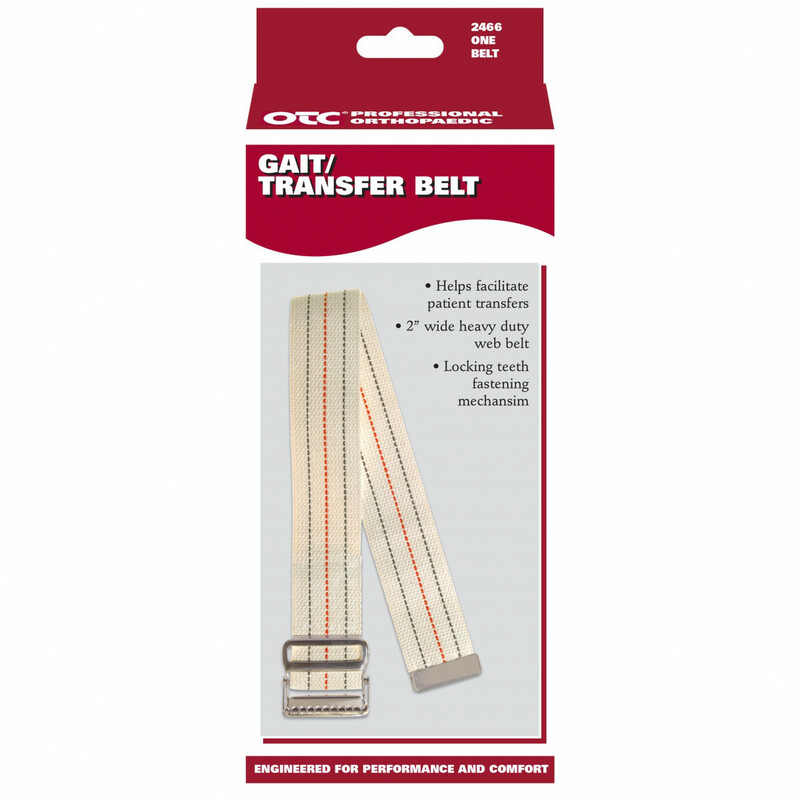 The OTC 2466 Gait Belt is a useful tool for caregivers to assist with the mobility of their patients. This safety device can prevent back injuries of caregivers by taking some of the pressure off lifting and straining the back. It increases the safety of the patient by reducing the risk of falls. Users who struggle with balance walking from one place to another or who need to be moved simply put the gait belt around their waist. This allows others to have a secure place to grab while lifting or moving users. It can also provide a sturdy grip for caregivers to hold with unstable balance while walking. 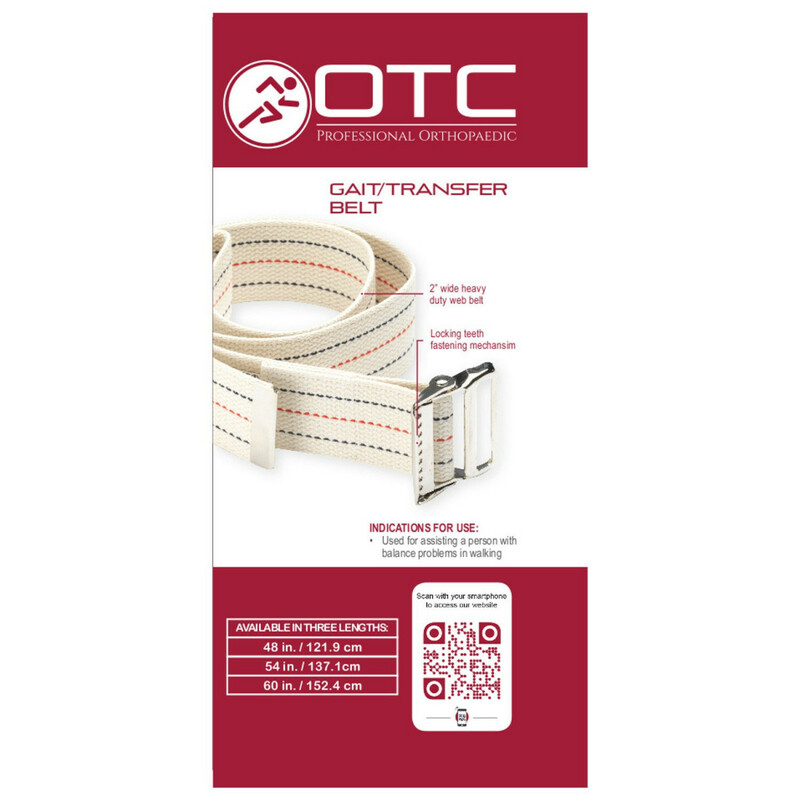 The OTC Professional Orthopaedic Patient Transfer Belt can be used either at home or in professional settings as needed. Lightweight and comfortable, the transfer belt can be placed on the user and stay there throughout the day for multiple uses. The belt is designed to be low profile in order to be inconspicuous and users can forget they are even wearing it. 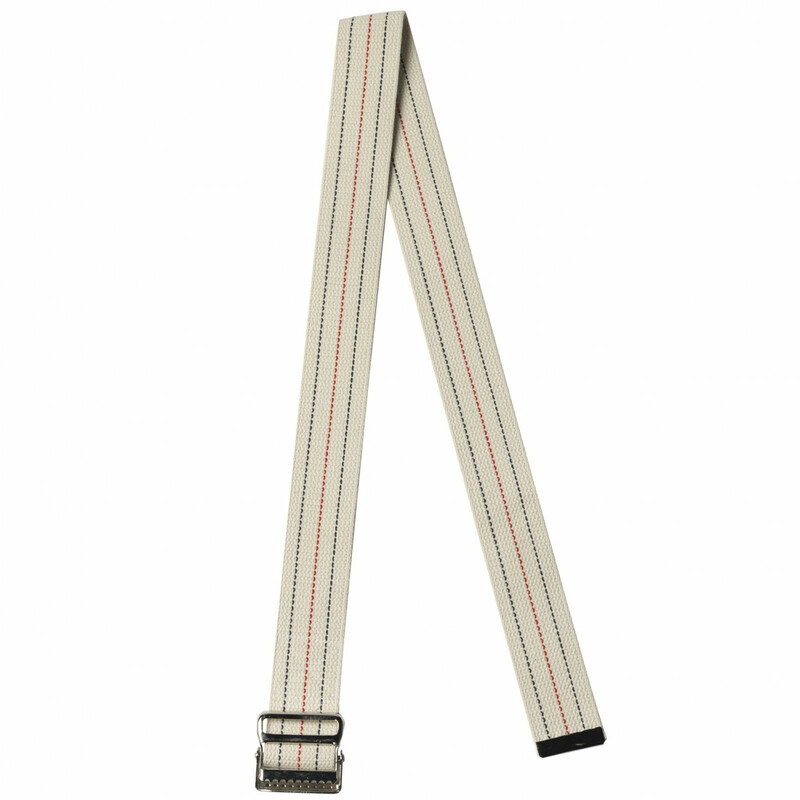 Once on, the belt has a set of locking teeth in order to ensure the belt stays in place. 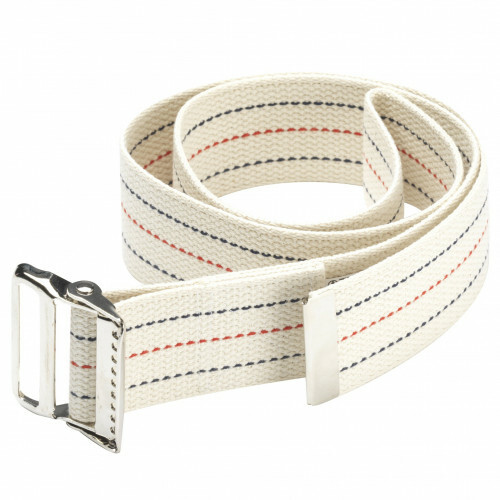 The belt is made mostly of cotton. It can be washed.